(Optional) All Official OSVR supporters are eligible to receive a Hacker's Development Kit. If you are interested in receiving one please provide the following details. Virtual Reality is now on the verge of becoming available to the masses, and the entire industry is banding together to realize this goal. Developed to further fuel progress, OSVR is the one unifying platform where partners from all aspects of the industry can leverage on. 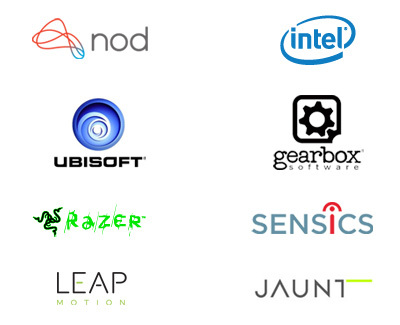 Whether you’re a manufacturer dealing with VR-Glasses or input devices and components, or a developer of software or games and game engines, you can be a part of this exciting frontier by joining OSVR. A free OSVR Hacker Development Kit for development. Collaborative opportunities and networking with our growing list of partners. Marketing and promotional support (including demo opportunities at major events like E3 and CES). Priority access to tech support. Assistance to make your classes/labs VR Ready through hardware and software support. Opportunities to collaborate with industry partners. Enhanced exposure for research and academia projects including a direct track to commercial channels to take them further. Additional opportunities such as guest lectures done by experts from the industry can also be discussed.